If you currently own AutoCAD Revit Architecture Suite, AutoCAD Revit MEP Suite or AutoCAD Revit Structure Suite and are current on your Autodesk Subscription, Autodesk will be upgrading your licenses free of charge to the Building Design Suite Premium. The Premuim edition provides an optimized set of tools to help architects, MEP engineers, and structural engineers take advantage of the power of BIM to design, visualize, and build better buildings. This Suite will bring you and your company fully into realizing the benefits of Building Information Modeling (BIM). As you can see this is a great value that Autodesk is offering for no upgrade charge. Now you can go from conception, design, validate, visualize and communicate with a full tool set to make your designs come to life. If you have questions about downloading or implementing new applications from the Suite to your workflow, please contact us. Remember we ofer training on all the products, so let us know if you want to learn some of the new products. We look forward to helping you stay ahead. Want to take advantage of the Suite and have one of these licenses not currently on Autodesk Subscription? 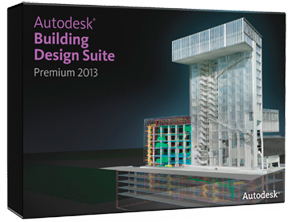 Until January 18, 2013 you can still upgrade to a Building Design Suite 2013 Premium for a discount up to 40% off the SRP*. Contact us and ask how. *Specific terms and conditions apply to each promotion. Please visit the promotions page on our website or contact us for details on these offers. Autodesk reserves the right to cancel, suspend or modify part or this entire promotion at any time without notice, for any reason in its sole discretion. Prices for Autodesk software are subject to change.